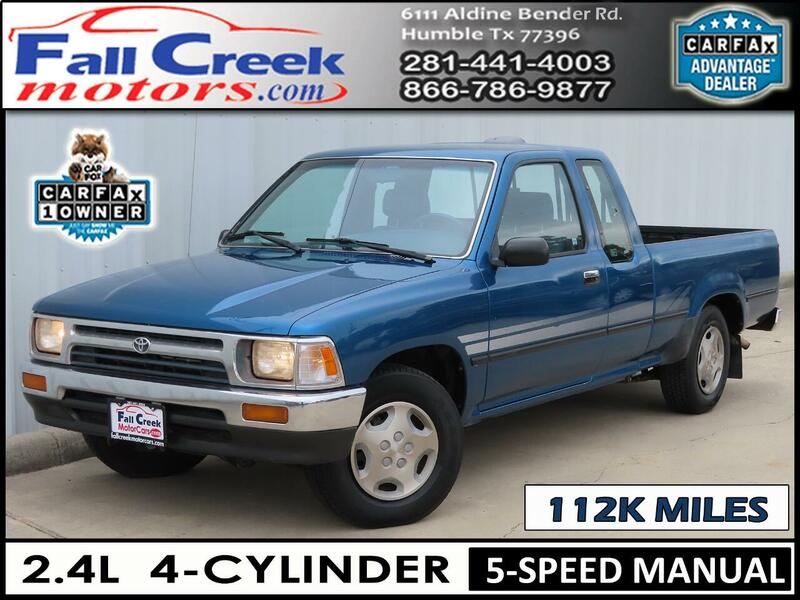 ***100% ONE-OWNER CARFAX GUARANTEED***1994 TOYOTA 5-SPEED MANUAL TRANSMISSION 4 CYLINDER EXTRA LONG WB DELUXE CLUB CAB PICKUP 2.4L I4 REAR WHEEL DRIVE ***THIS TRUCK HAD ONLY ONE PREVIOUS OWNER AND IT LOOKS/DRIVES GREAT. PICK UP PICKUP TRUCK SIMILAR TO A TACOMA TRUCK. Message: Thought you might be interested in this 1994 Toyota Pickup.